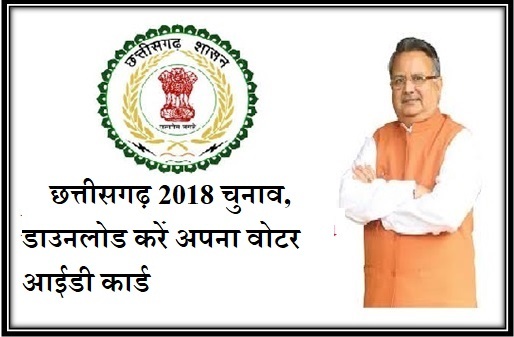 The Chhattisgarh state Chief Election Commission, has announced of providing with complete Voters list and conducting elections recently. The EC has also stated that it has already updated the latest list of voters within the state along with their photo Identity for release just ahead of the election time. The new provisions have been made available by the department over the online platform. The candidates will have the convenience of performing search and checking with their names from the list. The voters are also allowed to caste their votes once hey have confirmed of their names in the updated list. The new web portal services will offer candidates with the convenience where they can search with their names in the list before the 2018 Assembly elections. The CEO of the department has also mentioned that the list will regularly be updated for the candidate district wise. This new facility will also enable them to perform their search much faster as compared to manual work. The candidates can also download the complete list for current fiscal year 2018 to performing search. The new web portal also offers with convenience of downloading the voter cards before the election dates. The process of checking with the Dekhna Voters list for 2018 is hassle free and simple. In order to perform the search via name for CG Voter ID district wise or Data Electoral Roll you have to follow below mentioned process. The applicants will first have to visit the online web portal at ceochhattisgarh.nic.in. From the web portal main page you will have to make the selection of “For Voters” option and then select the “District or Zila wise” option. This will enable you to view the complete list for 2018. Direct List – You also have an option to download the PDF format of the file by clicking the link at http://election.cg.nic.in/voterlist/Default.aspx. The complete list will be displayed on the screen that can be viewed by the candidates. You can make the selection of your preferred Constituency or District and make the selection. Once you have made the selection you have to enter the right Captcha code for verification and proceeding. You will also be provided with the option to download the Photograph format in PDF for the list. Once the list has been downloaded candidates can now freely perform the search manually by viewing each name or photograph from the list. CEO Chhattisgarh has made the process for the voters of the state much simplified for assembly elections 2018. The search provisions are provided via name tracking method. The list provided has been updated for 2019 January voters list. In case new candidates have to register under the voters list they can make use of this provision or directly visit the link at http://www.nvsp.in/ for Form 6. For downloading the voters card online after searching for name in the list, you can follow the below mentioned procedure. The candidates have to visit the online website to perform the search via name from the list for CG voter ID. The link for official CEO Chhattisgarh website is mentioned above. From the man page of the website you will have to look around for “Voters details” options and then click the list option provided for voters. They will be redirected towards the New web page in which they can perform the search via name. You will have to track your name, Assembly Constituency, EPIC number, Address details and S.NO (Matdan Kendra Kramank). Once the name has been located the applicants have the convenience of downloading the complete list in the PDF format for CG Voter ID. You can also request for a hard copy. Making use of the EPIC card or SNo it is possible for applicants to locate their names in CG Voter 2018 list. You will have to get started with searching for your name in the CG 2018 list or directly visit the link at http://election.cg.nic.in/elesrch/EpicSearch.aspx. You will be redirected towards the search tab that will allow you to perform your search. On the provided tab you will just have to enter EPIC number and select “Search” option for Electoral Roll. The details will be printed on the screen that has been updated latest by the department. You have the convenience to download and save in PDF format. It is also possible for candidates to perform search making use of their names or other address details. You can perform the search by directly visiting the link at http://election.cg.nic.in/elesrch/reswise1.aspx. You just have to provide with details including address, name and area to perform the search. Then you have to make the selection of “Search” option. You are also allowed to request for a print out of the list. The process of search is performed via all Matdan Kendras or polling booths. The candidates are free to search for their names in the list on basis of S. No. The Search can be performed on the basis of EPIC Number. You can directly click the link at http://election.cg.nic.in/elesrch/Partwise.aspx directly to download. In case any applicant wants to search the name from the list Assembly wise they will have to directly visit the link at http://election.cg.nic.in/elesrch/electorsearch.aspx. The online system will offer with convenience to search the name from various constituencies. Using any of the above mentioned method candidates can try and locate the names using different criteria. In case your name is not in the list you can get enrolled for the 2018 list online.